Mr. Bryson represents workers in lawsuits arising under federal and state wage and hour laws. As part of his employment law practice, Mr. Bryson litigates a wide variety of complex employment issues on behalf of both individuals and large numbers of similarly situated workers in class and collective actions. He regularly represents clients in matters involving unpaid minimum wages, overtime rights, tip theft, employee misclassification, whistleblower complaints, retaliation, discrimination and harassment. 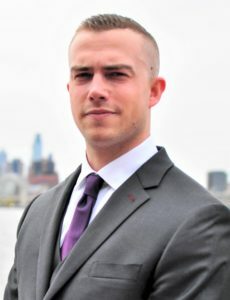 In law school, Mr. Bryson was a Marshall-Brennan Teaching Fellow, the Associate Notes Editor of the Rutgers Journal of Law and Religion, a competitor in the Hunter Moot Court Competition, and the recipient of several awards for Outstanding Oral Advocacy and Legal Writing. Prior to joining the firm, Mr. Bryson served as a judicial law clerk to the Honorable John E. Harrington, Presiding Civil Judge of the New Jersey Superior Court, Law Division, in Burlington County, New Jersey. In law school, Mr. Bryson worked as a law clerk to the Honorable Francis A. Polito, Chief Administrative Law Judge at the U.S. Equal Employment Opportunity Commission.